2015 Reprint of 1944 Edition. Full facsimile of the original edition. Not reproduced with Optical Recognition Software. 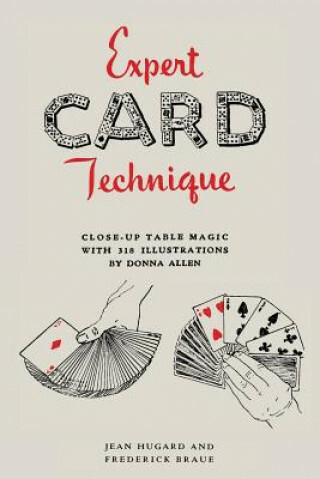 This remains one of the most definitive works on card technique, providing step-by-step instructions that will teach you the correct methods for the basic manipulations and for more advanced flourishes. Offering the most foolproof methods available, Jean Hugard and Frederick Braue explain such basic manipulation as the palm, the shuffle, the lift, the side slip, the pass, the glimpse, the jog and the reverse. They detail various false deals, crimps and changes and the more advanced execution needed for forces, fans and the use of the prearranged deck.